There is plenty of research linking poor sleep to subsequent poor eating habits. Until recently, however, very little was known about how diet affects the quality of sleep. 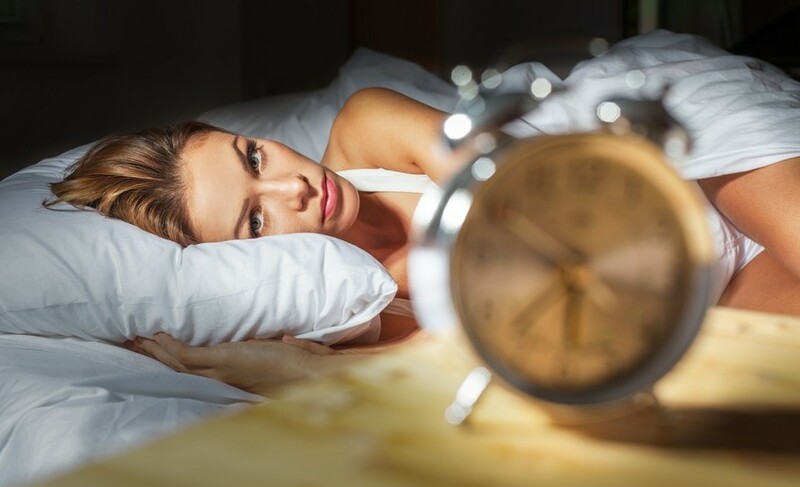 So researchers at Columbia University, New York, decided to conduct a study to determine whether eating certain foods affects the quality or duration of nighttime sleep.The study involved 26 adults between the ages of 30 and 45 years. For four days the participants were fed a controlled diet, and on the fifth day they selected their own food. The results were very interesting. Eating more fiber resulted in more slow wave sleep (the deeper, more restorative sleep). Eating more saturated fat resulted in less slow wave sleep. Eating more sugar was associated with more arousals from sleep. Participants fell asleep more quickly after eating meals that were lower in saturated fat and higher in protein. The overall conclusion was that a diet low in fiber and high in saturated fat and sugar is associated with lighter, less restorative sleep with more frequent arousals. And while this study was limited in its scope due to the small number of participants and short duration, it nevertheless provides further evidence of the importance of sleep as part of a healthy lifestyle. It also reinforces the well-established nutrition advice to include plenty of fiber in your diet, and limit your intake of saturated fat and added sugars to less than 10% of your total calories per day. St-Onge MP, Roberts A, Shechter A, Choudhury AR. Fiber and saturated fat are associated with sleep arousals and slow wave sleep. J Clin Sleep Med 2016;12(1):19–24. I definitely agree that sugar messes up sleep cycles. But I question that bit about less saturated fat and high protein intake. Saturated fat comes packaged together with protein in meat. It’s sort of illogical that something “good” would be naturally packaged with something “bad”. Just like eggs yolks and egg whites. Regardless, thanks for sharing. Hi Katie. Thank you for your comment. I see where you are coming from about the “good” and “bad” being packaged together. I know there is plenty of controversy about whether saturated fats are even “bad”. I think this particular study was more observational than critical on the issue. After years of being a vegetarian (and not a healthy one) I definitely feared saturated fats. But they are the most stable cooking fats around, so I’ve done an about face and now embrace saturated fats. Thanks for your take. Thank you for taking the time to appraise this study. Very helpful to know you’re on the case re recent research which can be crucial in supporting evidence based practise. It’s also good to get a balanced view with a look at the confounding variables rather than the sensationalism that so often saturates our media (no pun intended). I look forward to more. Thank you for your lovely comment Rachel. I do try to adopt and share a well-informed, balanced approach. It isn’t always easy when there is so much conflicting information out there. Thanks Dawn. I’d be interested to know if you notice any difference.